across the untamed west, American self-reliance has been a proudly defining trait of our nation’s forebears. Today, with financial, climatological, political, and security uncertainties abounding, that spirit of “improvise, adapt, and overcome” has returned in spades. When Myles Standish, William Bradford and 100 other pilgrims landed in Plymouth Massachusetts in November of 1620, bitter cold weather and a lack to sufficient provisions tested their very survival until the fruits of their labor (and some timely trading with friendly Natives) provided a path to prosper. It is likely that lessons learned during these times forged an indelible streak of independence in our collective DNA and a desire to prepare for all contingencies into souls of Americans for many generations to come. 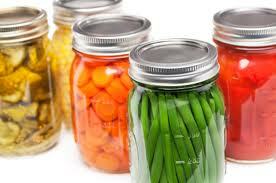 Know anyone who is growing their own backyard garden and either consuming or canning what they grow? If not, you likely will and soon. While farmers and farm lands are being squeezed, families who grow their own fresh fruits and vegetables are simply exploding in numbers. Experts point to fears about Genetically Modified Foods, escalating prices, the possible interruption of supplies, and the desire to eat fresher foods, as the things that animate them the most. Look at the popularity of whole home generators, solar paneled homes, in-home root cellars, food storage plans, and backyard greenhouses as modern-American society hearkens us back to the frontier spirit of old and a culture of planning for the unknowns ahead. Our history is replete with heroic examples of rugged individualism and self-reliance. And on this hallowed holiday that we ponder and celebrate the birth of this great nation, let us be thankful for the blessings of liberty and observe that, in many ways, everything old is new again.